Winter School is the RSCDS's most prestigious annual event. 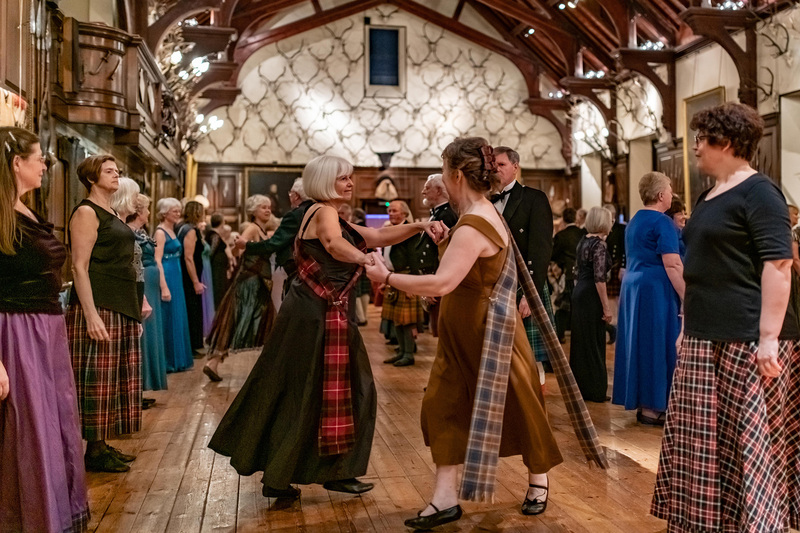 Taking place over five days in the town of Pitlochry, we welcome around 150 dancers from the UK, continental Europe, North America and Australasia. 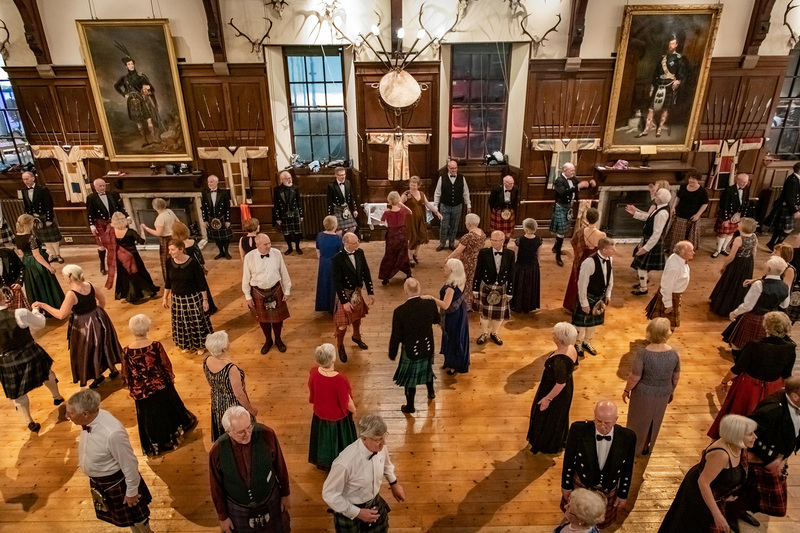 The highlight of Winter School is a formal Ball that takes place in the majestic setting of Blair Atholl Castle. Thank you to everyone attended Winter School 2019! We had a successful 2019 and would like to thank all of those who made it a wonderful event. The RSCDS Winter School is one of our premier events. Attendees stay in the Atholl Palace Hotel, a four-star Victorian accommodation that is the epitome of comfort. 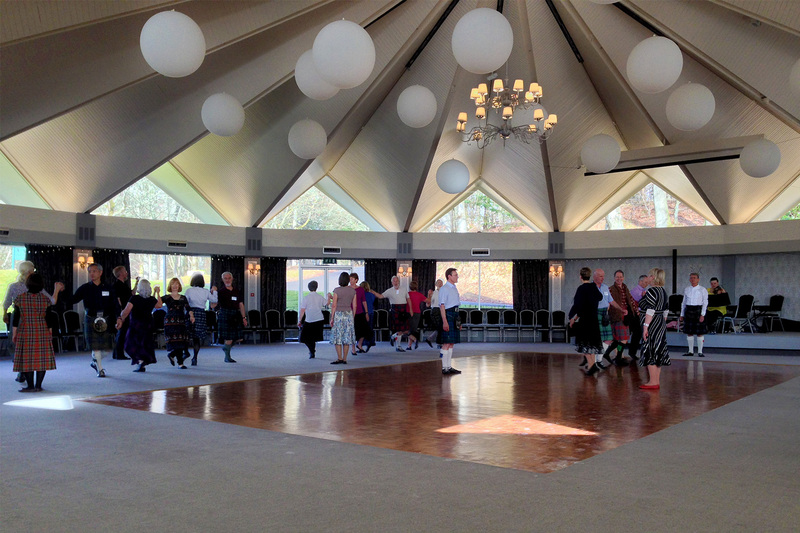 Classes are held at different venues around the town of Pitlochry, a gorgeous village nestled at the edge of the highlands. 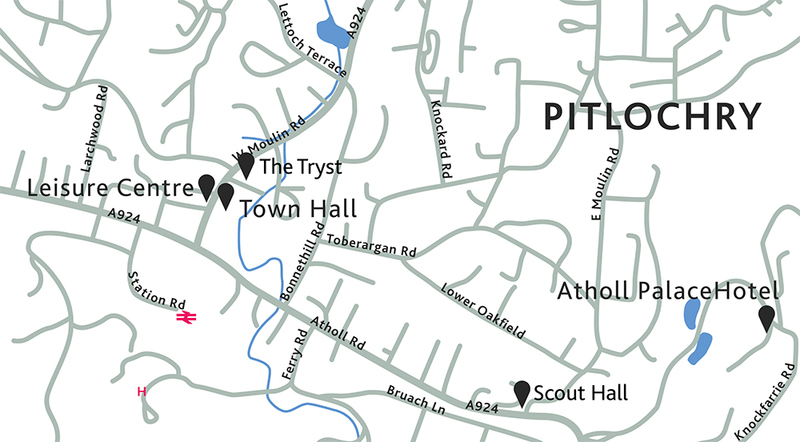 All venues are accessible by foot and/or car, and some are located in Atholl Palace. With classes held every morning and optional classes or sessions in the afternoon, there is the potential for a full day of dancing; that is, if your feet are up for it! The staff and musicians for Winter School 2020 will be announced shortly. Please note that there has been a change to the class selector. Everyone should read the information carefully before selecting a class. All classes will include technique. More information on afternoon sessions for 2020 will be shown below. Please check back closer to the event. More information on the classes offered will be available soon, so please watch this space. The price structure for 2020 will be shown here when available. Please note that spaces fill up quickly and there is no guarantee of a spot. The School is open only to dancers attending on a residential basis. Most of the accommodation in the hotel is in twin/double rooms or family rooms. The RSCDS is under no liability whatsoever in respect of any personal loss or injury which you may sustain and you agree to conform with any regulations which may be made. You are strongly advised to take out suitable insurance cover. If you withdraw before 30th November 2019, you will be entitled to a refund of your fees, less an administration charge of £70.00. If you withdraw after that date, you will not be entitled to a refund. The School is open to dancers over the age of 16, on a residential basis only. Booking should be completed as soon as possible and before 1st November. Late applications may be considered if space is available. Please note, when you are completing the booking form, that most of the accommodation offered in the hotel is based on shared accommodation with either twin beds or double bed. Please indicate with whom you wish to share. If you do not do so the hotel will allocate you to a room. There is a very limited number of single occupancy rooms. These are allocated on a 'first come, first served' basis. 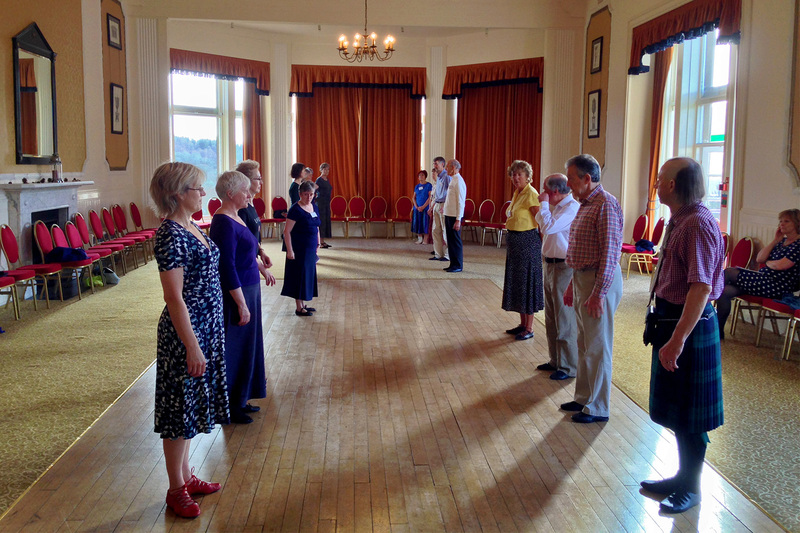 There is a limited number of spaces for non-dancing partners, sharing a room. The fee structure for Winter School 2020 will be available closer to booking. Fees include, dinner, bed and breakfast. Lunch may be purchased in the hotel if wished. 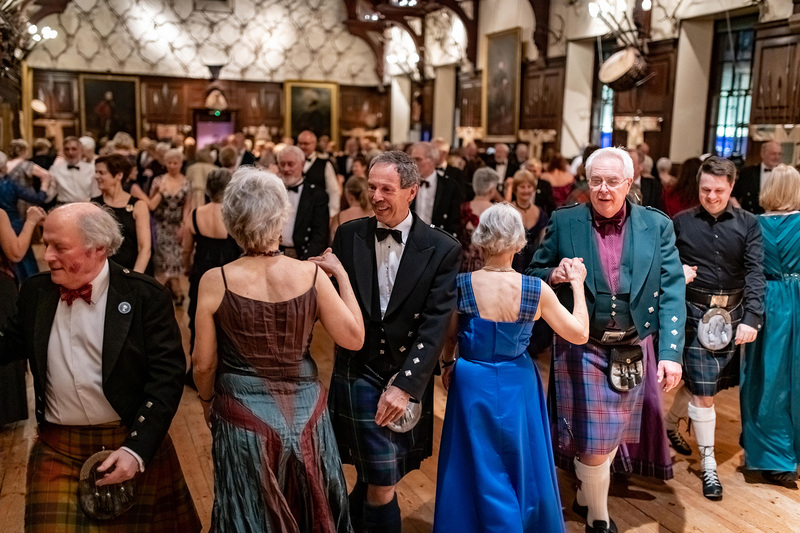 Fees for dancers also include all tuition, tea/coffee served during class breaks, social dances, transfer (by bus) and ticket for the Blair Castle Ball. Classes offered will depend on demand. There will be classes on four mornings from 9.30am - 10.45am and 11.15am - 12.30pm. There will be optional activities on some afternoons. There will be social dancing on Sunday, Monday and Tuesday evenings from 8.15pm. 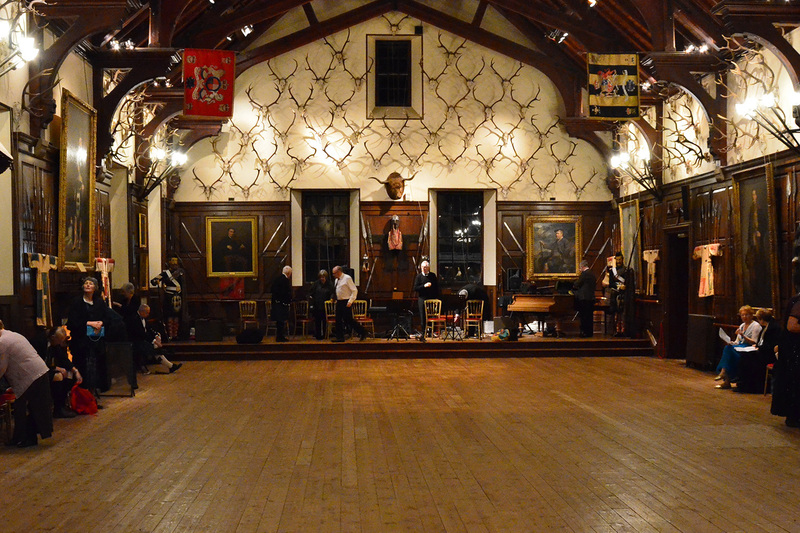 On Wednesday evening there will be a concert followed by ceilidh dancing. On Thursday there will be a ball in Blair Castle from 8.30pm - 11.00pm, the cost of this is included in the fee. Please bring formal dress if possible. Detailed information booklets will be provided upon receipt of your fee. The shop will be open on dates and at times to be confirmed. Because of space, our shop stock will be limited and we will only be able to fill branch orders if the order is received at the RSCDS office in advance. Other Branch orders will be forwarded to the RSCDS office for completion. Your room will be available from 3.00pm on Sunday. Guests should aim to arrive in time to attend the wine reception at 5.15pm before the evening dinner. Guests should vacate their rooms after breakfast on the final morning and return their keys to the hotel desk. 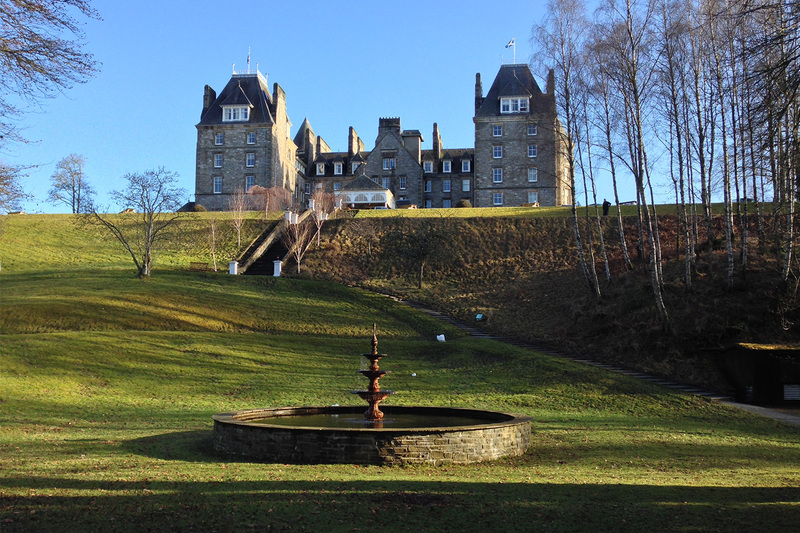 The venues for Winter School are located in both Atholl Palace and around the town of Pitlochry. 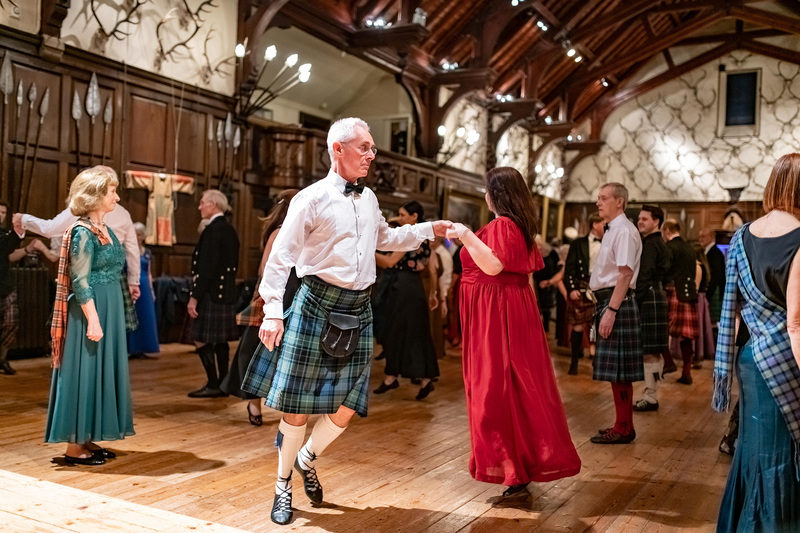 After breakfast at Atholl Palace there is more than enough time to get to your class, get ready and start dancing as venues are located centrally in town as well as in the hotel.